The one inside the Kunsthaus [fine arts museum] with a lovely Miró mural in the background. 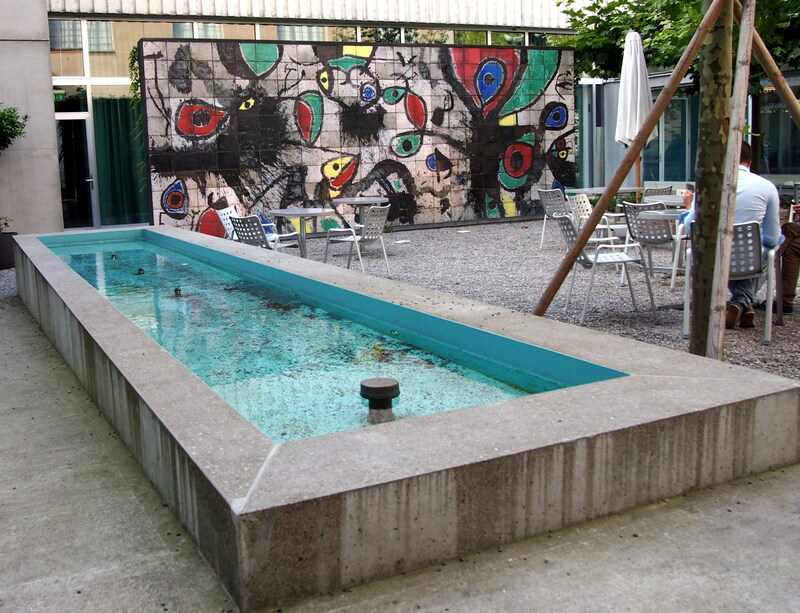 This is the museum’s outside cafeteria, open only during Summer. Actually, one of my favourite places in Zurich… The museum houses one of the most important art collections in Switzerland ranging from the Middle Ages to contemporary art. And, of course, the temporary exhibitions, which tend to be short but sweet and very well done. Oh, so many happy hours….